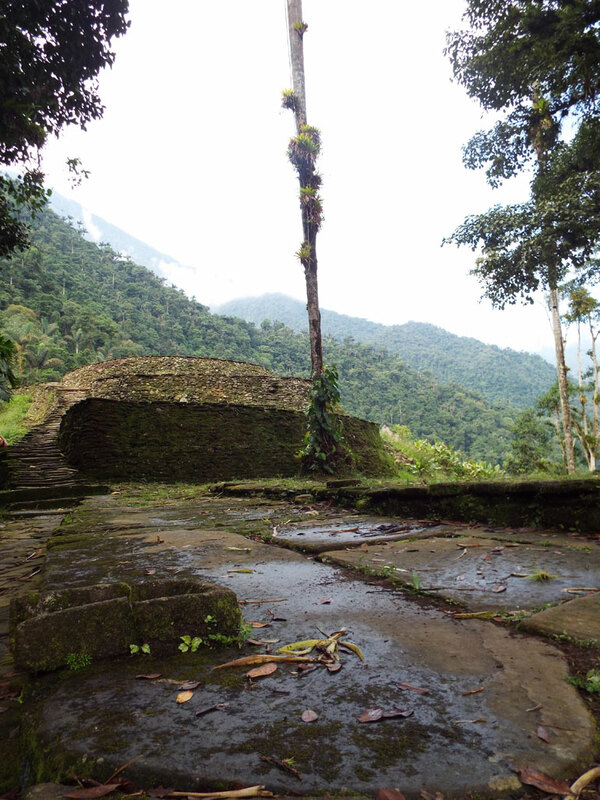 Colombia’s Lost City, or “Ciudad Perdida,” is the extraordinary archaeological site of a city lost for generations, only rediscovered in the 1970s by local looters. A 44km hike through Indiana Jones style scenery grants those brave enough the privilege of reaching the final 1,263 stone steps which serves as the cinematographic entrance to the ancient settlement. 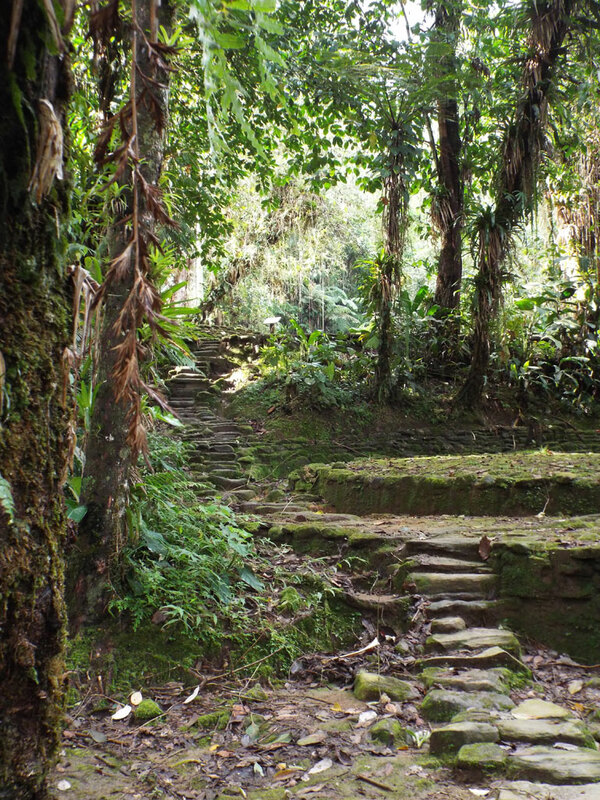 Believed to have been founded in 800AD – some 650 years before Peru’s Machu Picchu – the site lies buried in the jungle of Sierra Nevada de Santa Marta and Teyuna Archaeological Park in the Sierra Nevada region of northern Colombia. Incredibly, the remote site was only rediscovered in 1972, after disease brought over by Spanish trade links killed off its population hundreds of years before. 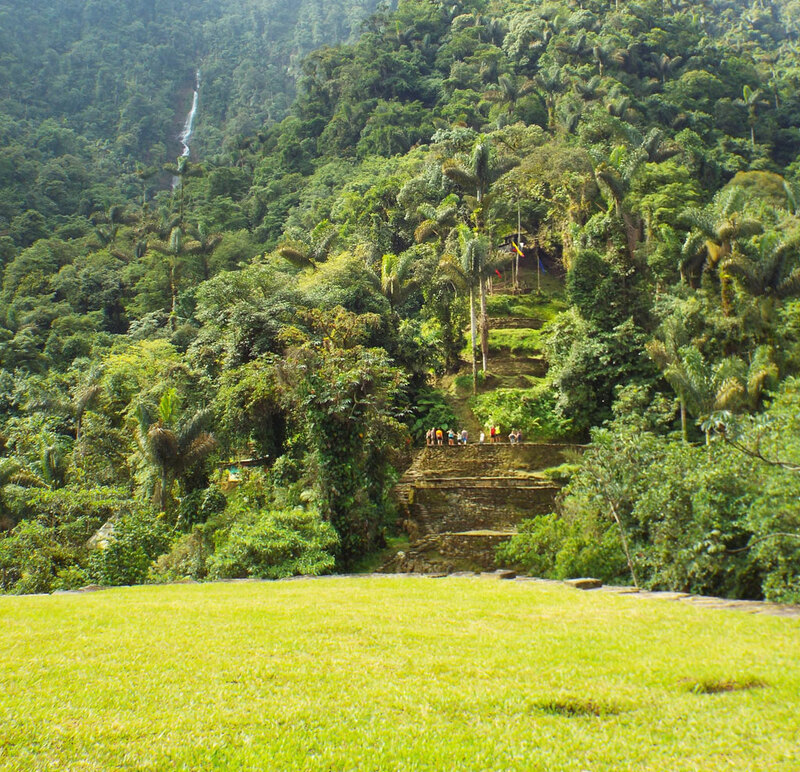 A group of treasure looters stumbled across the bottom of the moss-covered stone staircase while making their way down the Buritaca River in search of hidden loot. What greeted them was the abandoned city – known locally as Teyuna – holding generations-worth of gold and ceramic items that had laid untouched for hundreds of years. When the valuable items found their way to the local black market, Colombian archaeologists caught wind of their mystery source location. Headed by the director of the Colombian Institute of Anthropology, the professionals reached the site in 1976 and began the reconstruction process, which was completed in 1982. The result is an immaculately preserved space, consisting of rings of stone where housing once lay, terraces carved into the mountainside, and a network of pebble-paved paths that lead visitors from one section to the next. The haunted feel of the location is enhanced by the echoes of the diverse jungle wildlife contained within the panorama of lush vegetation. The site is now hike-accessible for tourists through registered tour companies, with an option to take four, five or six days to complete the 44km adventure. 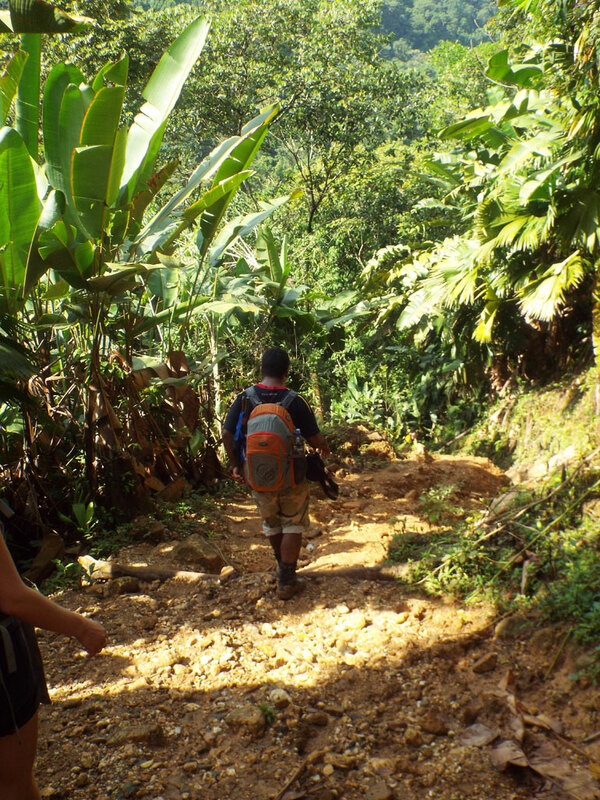 The trekking varies from day-long inclines on clay-like terrain, to waist-deep river crossings and rock-scaling under flowing waterfalls. Each night’s jungle sleep is spent in camps equipped with mosquito-netted bedding and limited wash facilities. 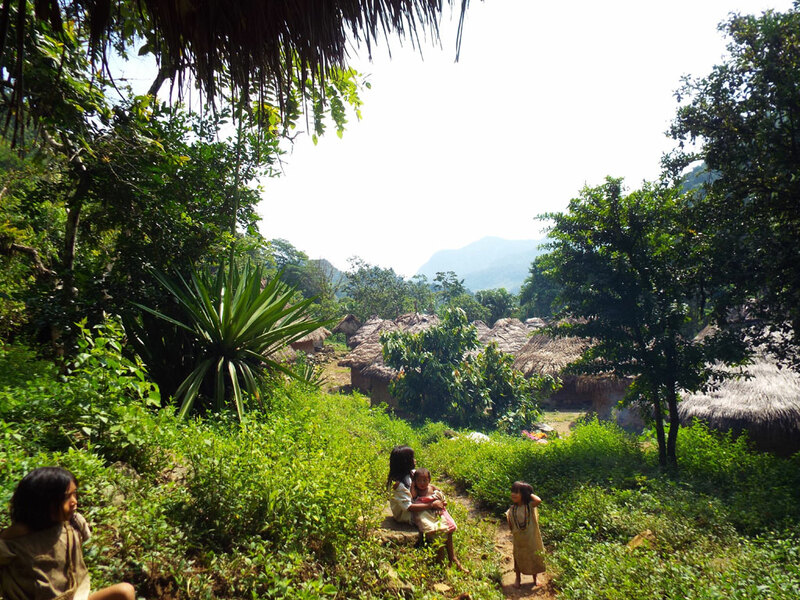 Plentiful meals are prepared by locals, who race through the trek to reach each checkpoint in time to have food awaiting their tourists’ arrival. The Colombian army actively patrols the area, which has been home to several kidnappings since the site became accessible, at the hands of guerrilla groups the FARC and the ELN. 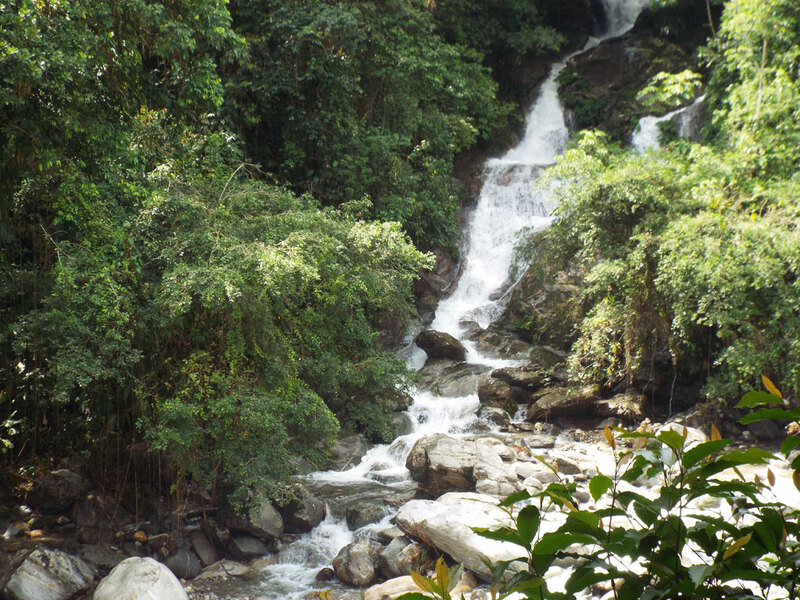 In September 2003, the ELN kidnapped eight foreigners who were trekking to the city. The rebel group demanded that the Colombian government investigated certain cases of human rights abuses in return for the hostages, who were released three months later. The area remains inhabited by self-sufficient indigenous communities, who consider the site sacred. They have even set up their own tourism company (Wiwa Tour), which successfully competes with the main agencies. 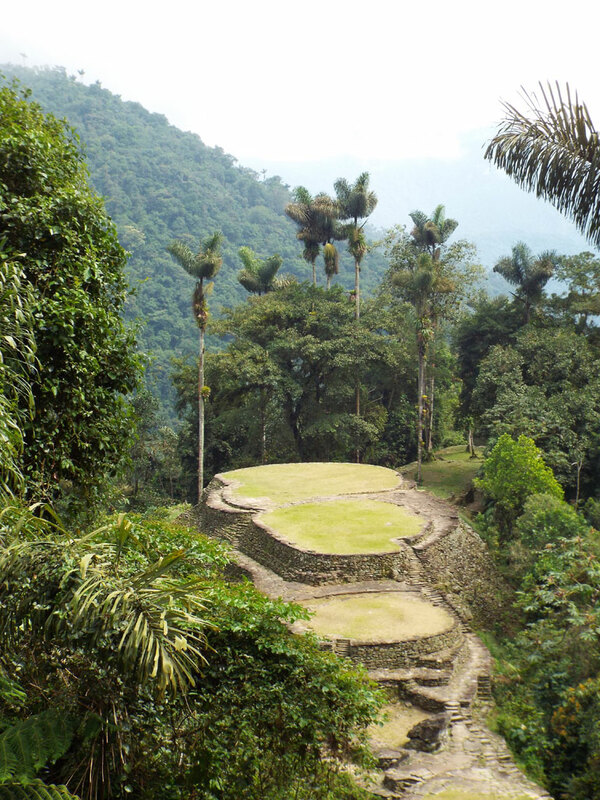 Since 2009, non-profit organization the Global Heritage Fund (GHF) has been working in the Lost City to preserve the remarkable historic site against the damage that increased tourism could bring. 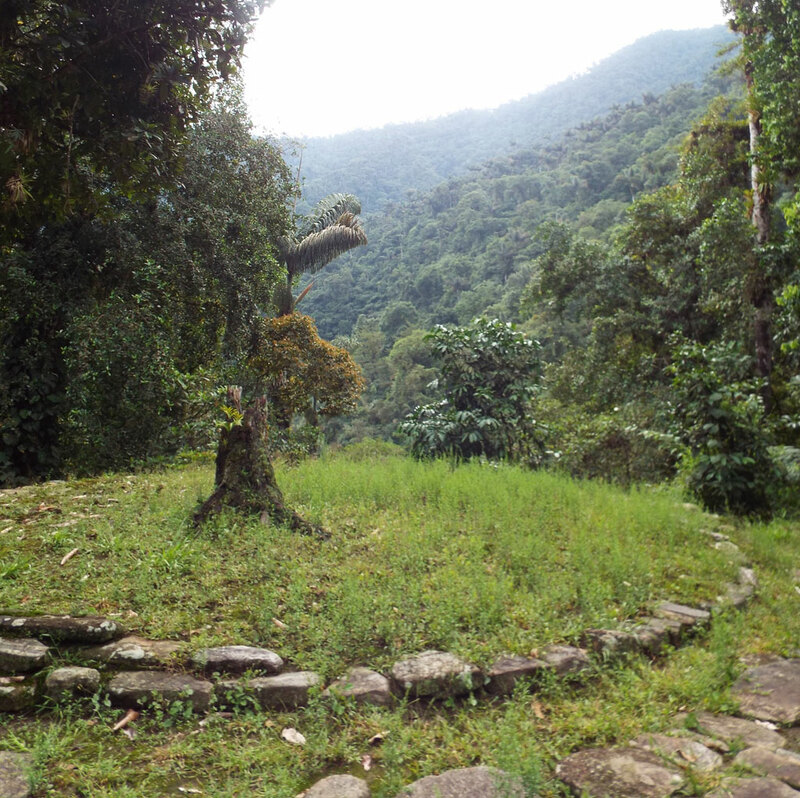 In partnership with the Colombian Institute of Anthropology and History, GHFs goals include the development and implementation of a site Management Plan, documentation and conservation of the archaeological features at Teyuna-Ciudad Perdida Archaeological Park and the engagement of the local indigenous and peasant communities as major stakeholders in the preservation and sustainable development of the site. All photos were kindly contributed by Alex Dutton.